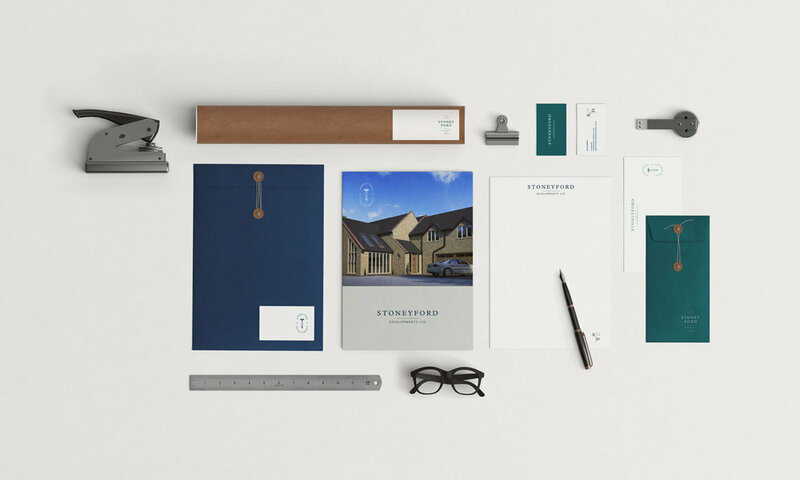 Robyn | Brand & Design Studio — Stoneyford Developments - Development Company Branding, Stamford. 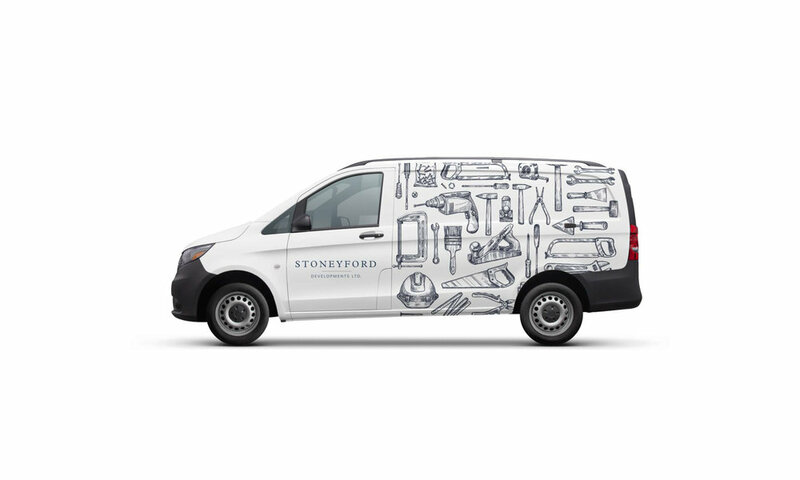 Stoneyford Developments are a brand new construction company based in Stamford, Lincolnshire. Stoneyford Developments approached us to help them establish their new business as leading specialists in the creation and development of traditional stone buildings, barn conversions and new builds. With a strong family history already based in construction, Stoneyford were looking to use their experience and knowledge to offer a new building platform to architects and clients. 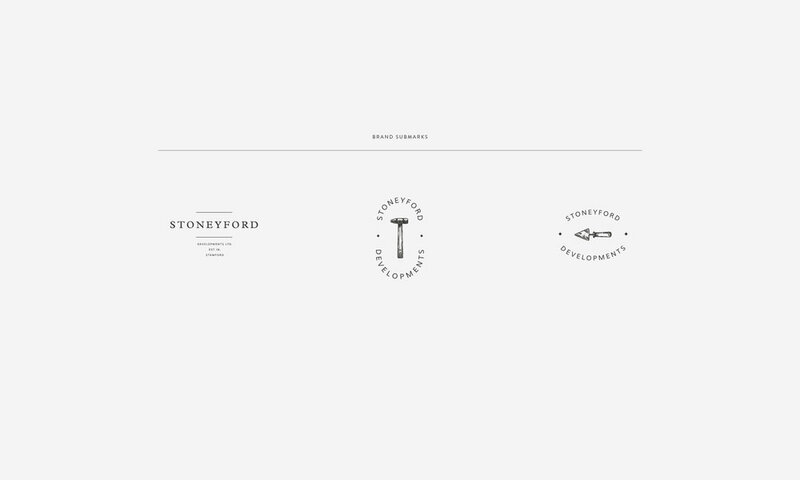 Utilising a name that is steeped in local history, they needed the brand to be crafted to reflect this and the surrounding identity. We developed the identity to have a range of brand systems, making it infinitely versatile and easy to apply across marketing material from business cards to large scale signage. The brand colour palette was created to be rich, utilising contrasting colours to add depth and texture to promotional pieces and make the identity recognisable.